Adorable Baseball magnet has a great unique design. 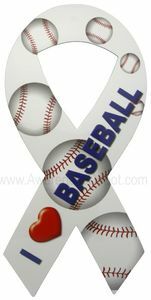 Perfect for the baseball lover in your family! Sticks easily to cars, refrigerators or wherever. Great for cars or fridges!